Founded in 1952, St. John Hospital and Medical Center, part of the St. John Providence Health System, is a Detroit teaching hospital (affiliated with Wayne State University) with 772 licensed beds, a 1,300-member medical staff and more that 50 medical and surgical specialties. 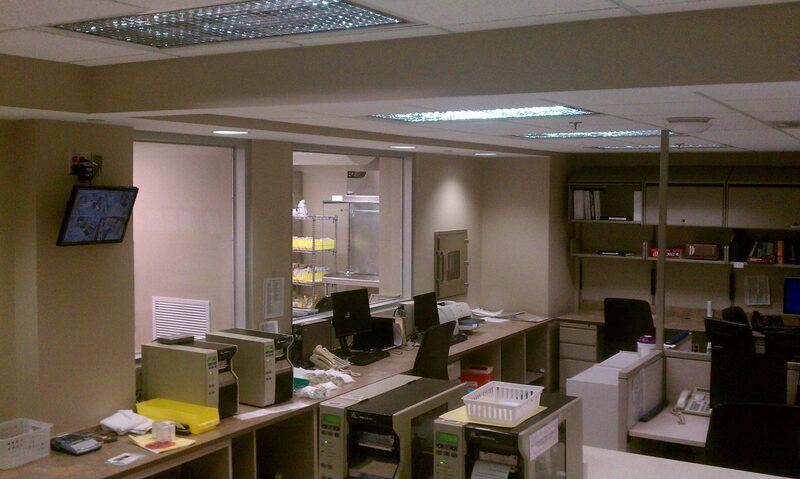 St. John needed to renovate their existing pharmacy space to meet demand more effectively and efficiently. CCC was a subcontractor for interiors on the renovation. This was a two-phased project that needed to be constructed within an existing active pharmacy. The scope of work for CCC included interior framing, drywall, drywall finish, doors/frames hardware, wall protection and patient room accessories. 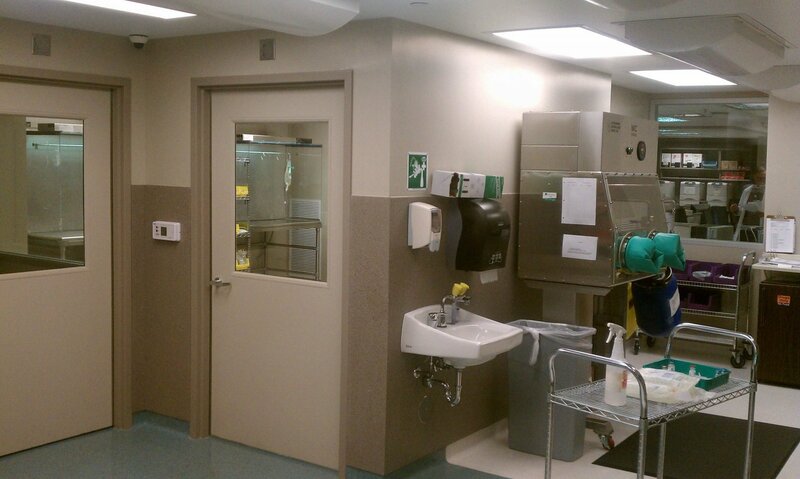 The pharmacy renovation was completed in three months and CCC self-performed all work. Work included metal studs, drywall, acoustical ceilings, doors, frames, hardware, specialties, wall protection and expansion assemblies. Over 1,700 man-hours were logged without a single safety incident.